If like me you are always missplacing your wallet, a new device called the Wallet TrackR might be able to help you keep your wallet close. Its been designed to provide a Bluetooth link to your iPhone or iOS device from your wallet, and alert you whenever your wallet falls out of range. When altered the companion application for the Wallet TrackR will then show you the last known place your wallet was located, taking a GPS snapshot of where your wallet was at the moment of separation. Watch the video after the jump to learn more about the Wallet TrackR project and see it in action. 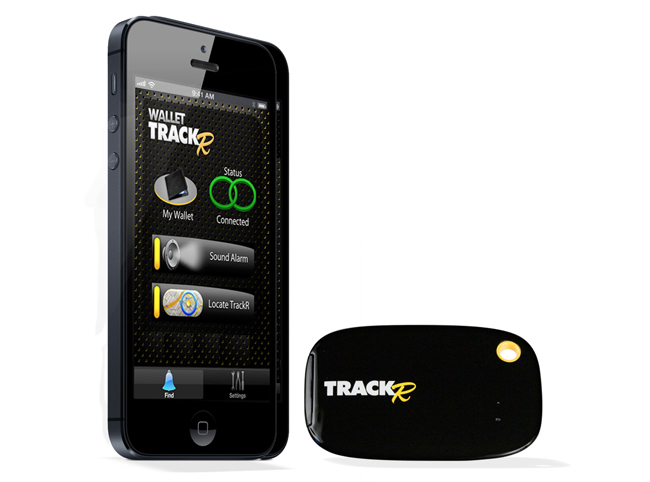 The Wallet TrackR is fitted with a replaceable battery that lasts around 18 months on a single charge, and the connection is made via Bluetooth 4.0 to keep the power drain to a minimum. Currently the Wallet TrackR is looking to raise $250,000 over on its website before it can make the jump from concept into production. So if you think Wallet TrackR is something you could benefit from, visit the Wallet TrackR website now to make a pledge and help it become a reality.